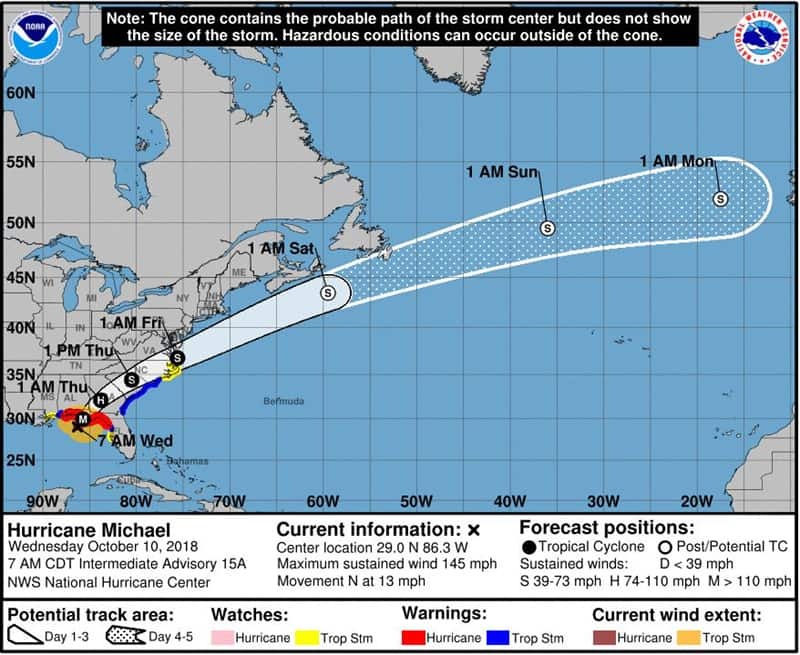 Hurricane Micahel is a very large and powerful storm which is moving through the Florida panhandle and then the U.S east coast. Several cruise lines have already been impacted by changing ship itineraries including Royal Caribbean. Thankfully the impact to Royal Caribbean cruise ships has been limited. 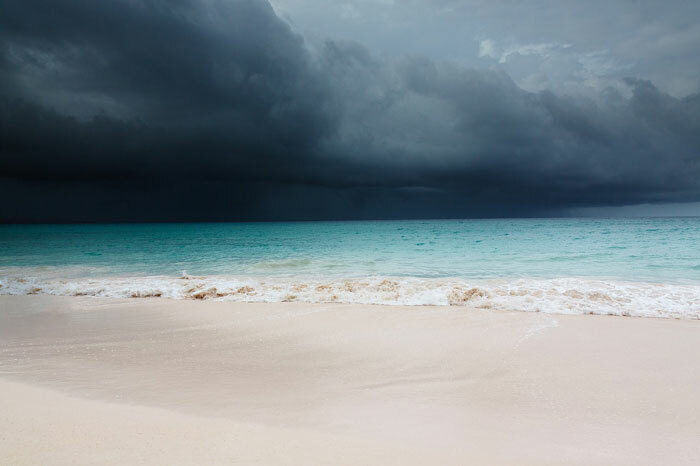 You would think a storm as big as Hurricane Michael would cause many ship changes by the cruise line but so far only two have been forced to make minor changes. The Royal Caribbean cruise ship was expected to have a slightly delayed arrival of 10:00 AM at Port of Tampa, Florida today. The good news is that the ship ended up arriving on time and according to port officials the weather is a little soggy but all cruises should be as normal. Majesty of the Seas is expected to depart later on her 5-night October 10 cruise with calls in Key West, Havana and Cozumel. All cruise ship itineraries are on schedule at this time @PortTampaBay including @RoyalCaribbean ships calling Wednesday & Thursday. Please contact cruise lines for specific questions. We continue to monitor #HurricaneMichael and pray for the safety of all in its path. Grandeur of the Seas could be impacted by the time the storm reaches the U.S. east coast. The Baltimore based vessel is expected to depart two hours earlier than scheduled to stay ahead of any impact. The ship is scheduled to depart on a 9-night Canada and New England cruise on Thursday, October 11. Calls include Boston, Bar Harbor, Portland, Saint John, Halifax and then back in Baltimore on October 20. We suggest keeping track of Hurricane Michael as the storm is far from over. Always check for official updates and itinerary changes from Royal Caribbean before traveling to your cruise vacation. As of writing this Hurricane Micahel poses a major risk to life and should be taken seriously. According to the National Hurricane Center (NOAA), the storm has maximum sustained winds of 145 mph and moving north at 14 mph. We have just heard that it may become a category 5 Hurricane as it begins reaching the Florida panhandle. Do keep an eye on Cruise Hive for all the latest developments impacted the cruise industry and most importantly do stay safe.